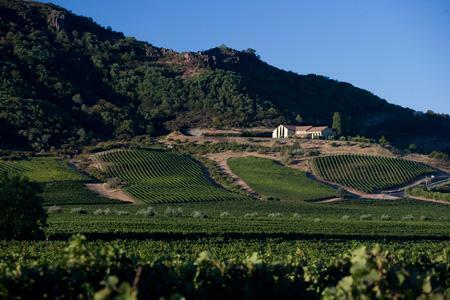 The name Antica originates from the words Antinori and California, and represents the Antinori family's longstanding desire to craft exceptional estate wines that are a true expression of Napa Valley terroir. The Antinori's family's 26 generations of winemaking history has been long been synonymous with the famed winegrowing regions of Tuscany and Umbria. Today, their wines are among the most recognized and highly rated of Italy. Wine Enthusiast 92"A heady opening of barrel reduction burns off in due time in this ultimately lovely wine that is intense in caramel apple and baked pear. Elegant on the palate, it has a big entry that settles into fresh, sophisticated layers of just-ripe fruit accented by a tart, tangy finish." " The 2012 Chardonnay is pure, ripe, and richly flavored, yet fine and delicate. There are lots of distinctive peach, nectarine, and pear notes, finishing with subtle hints of vanilla and toast flavors. The finish on the wine is mouthwatering and gains depth with its long persistence on the palate.